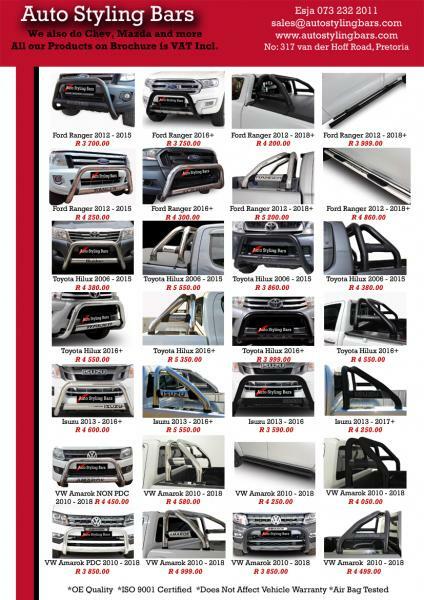 Ranger 2012 - 2015 and 2016+ Nudge Bar - Low with Sump Guard 76mm Tube - Powder Coated (Nudge + fitting kit) R2433,91 excl vat. Free Courier services available in SA Borders Only. 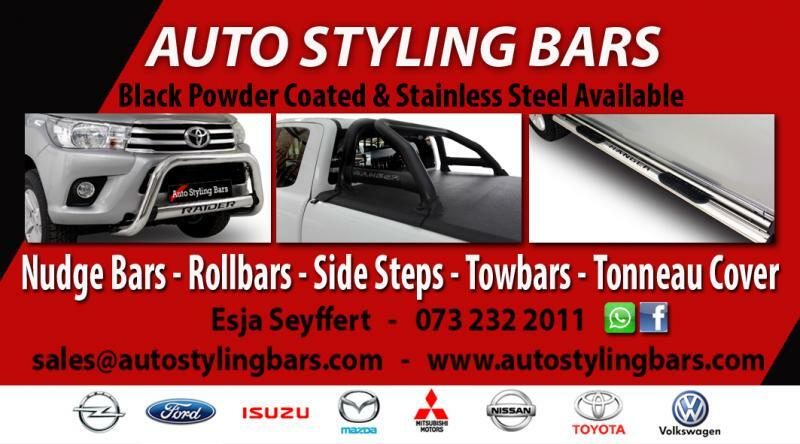 Ranger 2012+ fits all models Rollbar Top Mount + Side Plates - Double Cab, Extended Cab & Single Cab - Powder Coated (Rollbar + fitting kit) R2930,43 excl vat. 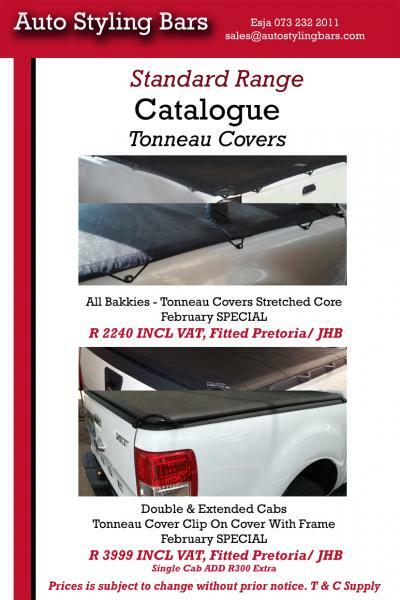 Clip on Tonneau Cover R3477.39 excl vat, DIY KIT INCL, FREE COURIER - MADE PER ROLLBAR ETC. Elastic Rope Cover - Free Fitment JHB and PTA R1950 excl VAT. Courier also available anywhere in SA at no extra cost. And more: Stickers for Nudge Bars, Rollbars & Side Steps. Available on Ranger, Amarok, Navara, Raider, Fortuner and more.End Cabs on Side Steps Missing - Call or visit us for assistance.Is your clip on cover and frame, missing some parts... let us assist you.